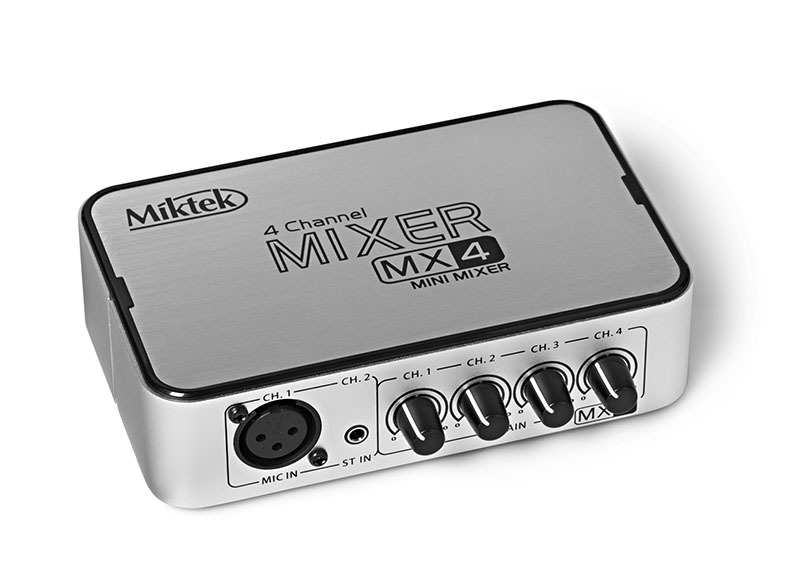 The Miktek MX4 is a 4 channel mini mixer with high-end mixer features. 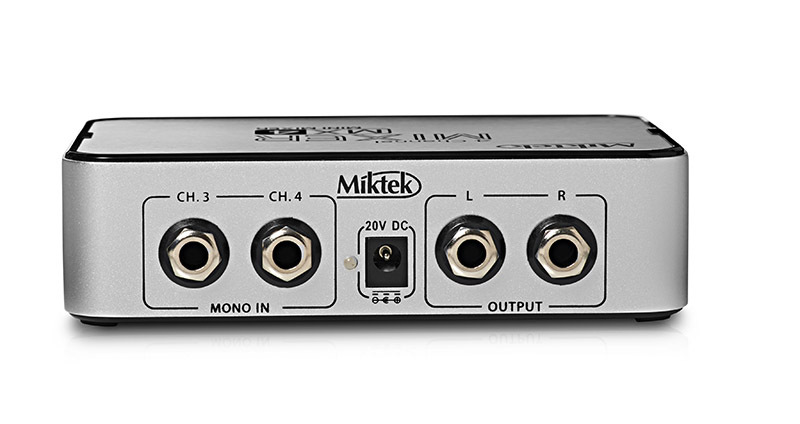 It contains: a balanced mic input with an XLR connector, an included phantom power supply for connecting a condenser microphone, 2 high impedance line inputs and a stereo 1/8″(3.5mm) input, individual volume controls for each channel allowing you to create your own mix by adjusting the gain level one by one, and two 1⁄4” output connectors which provide both stereo and mono outputs. When powering up your MX4, make sure that all wires are connected, and turn your mixer and any other outboard gear on. Then turn on your power amp or powered speakers. When powering down, turn your power amp or power speakers off before your mixer and any outboard gear. rear panel of the MX4, and then plug the adapter into any standard outlet. Connect the MX4’s Left and Right OUTPUTs to your power amp or powered speaker using the 1⁄4” OUTPUT jack connectors.